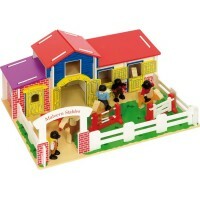 Wooden village play set. 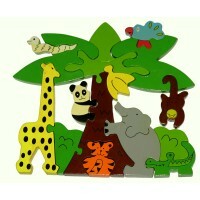 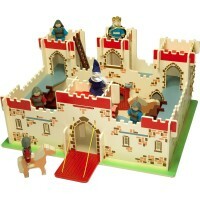 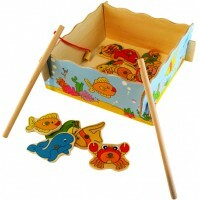 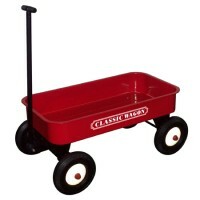 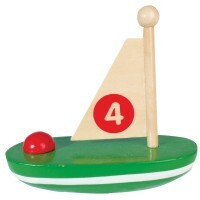 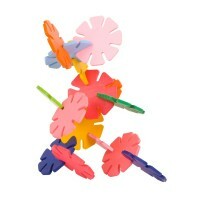 Includes a wooden floor play sheet, a variety of vehicle play pieces and a .. 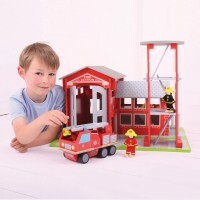 This award winning wooden Fire Station is supplied complete with a wooden fire engine and four firef..
Classic children`s toy for boys and girls that like to be out and about and not leave anything behin..
A wooden train set at unbeatable value! 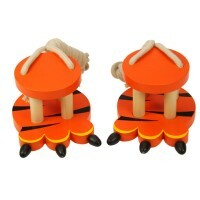 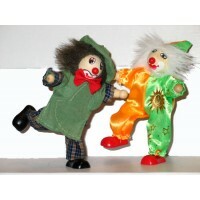 The set contains 100 pieces and inludes 4 train carriages, 8..
Footwalkers in a fun tiger design. 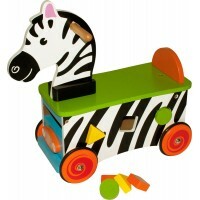 Not too high for safety and not too low for fun; children will lo..
A great little wooden ride on zebra and shape sorter for all animal lovers. 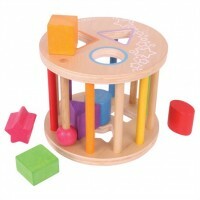 This little ride on toy ..
A wooden shape sorter with assorted shapes of different colours that can be slotted through correct ..
Saddle up for hours of entertainment with this wooden riding school. 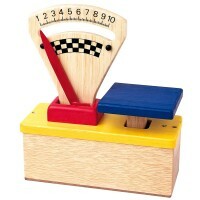 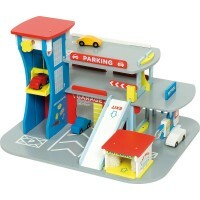 The play center is complete wit..
A cute wooden racing car in either blue or red for all children who love cars and speed! 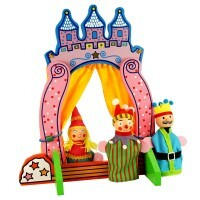 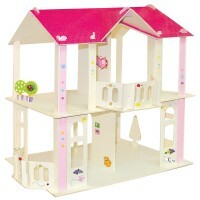 Pull it bac..
An enchanting wooden fairy tale palace with cheerful white, pink and blue exterior. 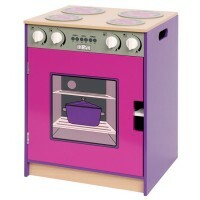 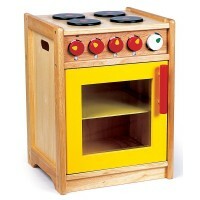 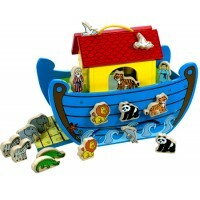 The wooden palac..
A very colourful wooden Noah`s Ark with magnetic pieces that can attach to one side of the ark or be..
A brightly coloured wooden Cooker from Bigjigs with knobs you can twist, plus a four ring hob and a ..
A brightly coloured wooden Cooker with knobs you can twist, plus a four ring hob and a two shelf ove..
What child doesn't love the story of King Arthur? 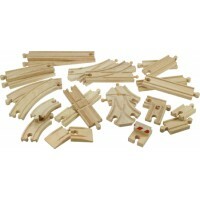 In this wooden set appears the king, his knights a..
High level expansion wooden train track for extending existing track sets. 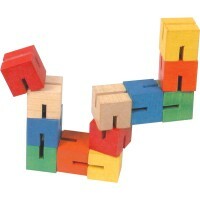 Compatible with our own .. 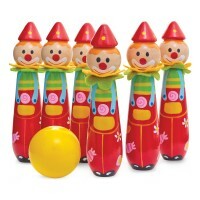 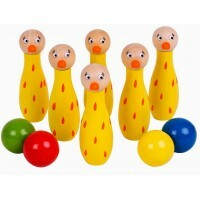 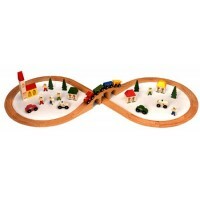 This starter train set consists of 40 pieces and inludes 4 train carriages, 3 vehicles, 5 people, t..
Brightly coloured wood duck skittles that will provide hours of quality play time for all the family..
Fun and brightly coloured wood clown skittles including six pins and two wooden balls. 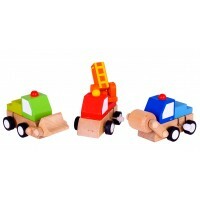 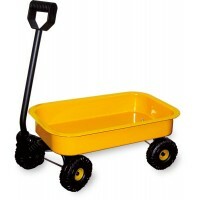 Each skittle ..
Fun brightly coloured work trucks to wind up and zoom across the floor to the delight of all young ..
Powertools workbox and work bench in one! 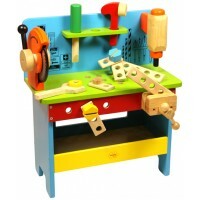 The tools are stored in the upturned bench. 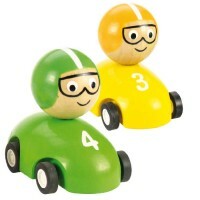 Includes woode.. 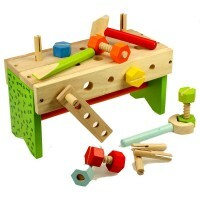 Perfect for children who love DIY! 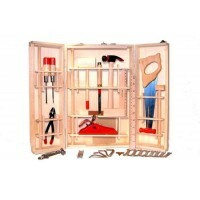 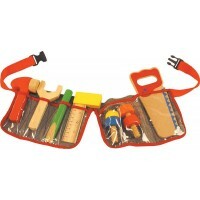 The carpenter's belt can be strapped around the waist and contain..
We love this fantastic Junior Tool Box with real quality wooden and metal tools. 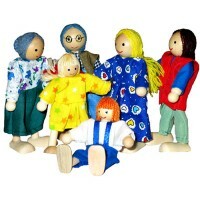 It is great for all.. 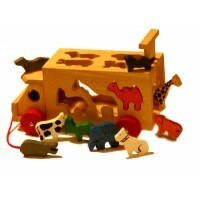 It's time to get busy in the city center and organize those vehicles with parking, washing, and fil..
A beautifully crafted wooden truck with eight animals. 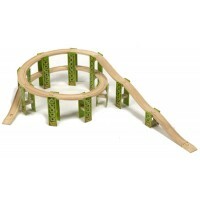 The animals can be slotted through their resp..
25 piece expansion wooden train track including straights, curves and cross connections. 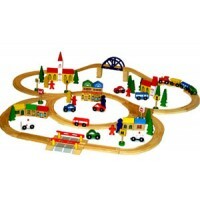 Compatible ..
Developmental wooden toys for children from pre school years, including train sets; brio compatible sets; educational wooden games; special needs toys; wooden outdoor toys and game; instruments for children and party bag toys.